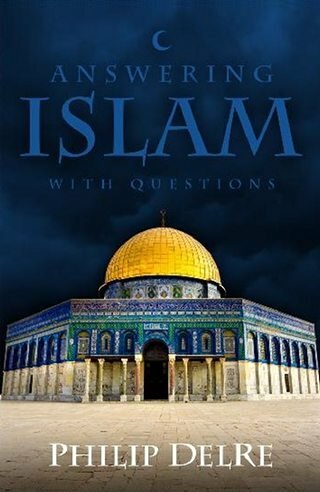 Answering Islam with Questions is easy when you know what questions to ask. God’s moral law is written on every man’s heart (Romans 2:15). Disproving Islam is easy when you look at the moral argument found in the Ten Commandments. Each of the Ten Commandments is reversed. If a Muslim sleeps during prayer time Satan urinates in his ear. Satan sleeps in your nose overnight if you are unclean. Adam was 90 feet tall. The Sun sets in a puddle of mud. If a Muslim prays while looking up his eyes will be snatched away. If you don’t believe this, you must die as an infidel. And, much more! Easy to understand book about what is actually in the Koran. Having studied the Koran since 1990 when we first went to war to “help” Islamic countries, I have found the Koran to be convoluted and contradictory at best. For someone who does not want to spend the time to study the Koran, Philip Delre does an excellent job of distilling the essence of what make Islam and Christianity incompatible in today’s world.